So, you want to island hop in the Philippines. With over 7,100 islands, seems like a no-brainer, but it’s not as simple as it sounds. Aside from the obvious — physically getting from one island to another — the Philippines is such a mixture of different cultures and backgrounds and history, that you can’t really predict what to expect from each place. For example, while English and Tagalog are the official languages, these 2 are only widely spoken in main cities, and other dialects (there are some 170 of them) remain the main mode of communication for more remote or less touristy areas. So, how does one embark on a dream island-hopping adventure in such a diverse country? We got you. Read on to find out, and, when you’re ready, start your flight search on Cheapflights.com.sg. So, you’ve decided on island hopping in the Philippines. What’s next? For starters, you’ll need to decide which islands you want to explore and, after that, which airport or city you should fly into. More often than not, you’ll want to book flights to Manila. But, depending on where you’re coming from, it might be more convenient for you to start elsewhere. For example, if you’re going to Palawan (for islands such as El Nido and Coron), it will be more cost-efficient to fly into cities in Mindanao, such as Puerto Princesa and Busuanga. If you’re doing Bohol or Boracay — also great islands to explore —you may want to book flights to Cebu or Bohol directly. Comparing prices and starting where flights are cheaper is a great way to make the most of your time and money. While some of the islands have become quite popular with tourists and can be a bit pricey (Palawan, for example), you can save by exploring some of the equally beautiful, but less touristy islands. For example, Siargao, the island made famous by its year-long surf breaks, is making waves with travellers locally and all over the world. Aside from beautiful beaches, the island is also surrounded by similarly stunning isles you can hop to for a day trip. 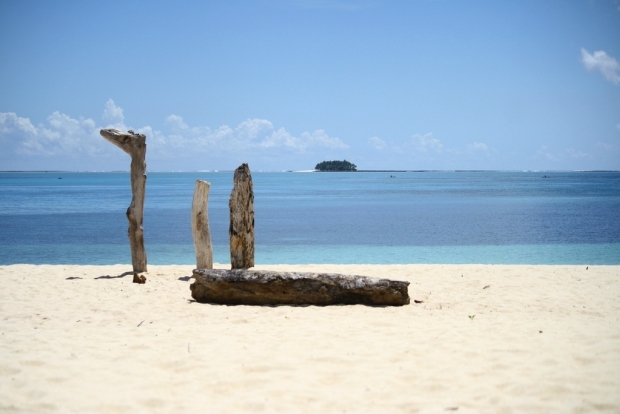 From Siargao, you can visit Naked Island for some snorkeling, Daku Island if you want a little more relaxation, and Guyam Island for romantic sunsets. You can finds day tours that include all 3 islands for around P1500. It might even be less if you DIY and hire boats or canoes yourself. A little closer to Manila is Anilao. Located in the province of Batangas. The famous dive spot is also a good base for a bit of island hopping in the Luzon area. From Anilao, you can easily hire boats that could take you to tiny, picturesque isles such as Sepoc or Sombrero. Lots of photo opportunities at these island, so don’t forget to bring your camera. What are the most important things to bring when island hopping in Philippines? First, do bring a waterproof camera because you wouldn’t want to miss out on the great views over and under water. Also, since you’ll be taking boats all the time, it would be wise to pack zip-top bags for your electronics. Since you’ll be exposed to the sun (and small towns won’t usually have nearby stores), don’t forget to bring your own sunblock. Wear comfortable clothes and, of course, swimwear. Don’t depend on credit cards and always bring cash in the local currency, which is the preferred (and sometimes only) form of payment for some of the smaller cities and islands. There are only 2 seasons in the Philippines: wet and dry. If you want to make the most of your island-hopping adventure, it’s best to visit during the summer months (from March-May). The only downside with guaranteed summer sun is that it would also mean more crowds. Accommodations and tours also get fully booked faster during these months, so it’s best to get everything sorted in advance if you choose to come around this time. Not a fan of crowds? The months from December-February are also good months to visit. Aside from less crowds and cheaper prices, it’s also not as humid. There may be occasional rain showers, but not as common as when you visit during the typhoon season which typically runs from June through the end of November. If you’re island-hopping around the Philippines, flying is definitely the easiest option because apart from the numerous local airlines (budget airlines Cebu Pacific and Air Asia among the most popular, while new boutique airline AirSWIFT has opened connection between Boracay and El Nido), there’s also an airport on almost all the main islands. Most small islands also have ferry terminals with regular boat trips. For example, you can take a 15-minute boat ride from Caticlan’s ferry terminal to Boracay or a 1 hour ro-ro (roll-on/roll-off ships) from the Batangas Pier to Puerta Galera. While jeepneys are popular in the cities, tricycle or motorbikes are the more preferred mode of transportation on the islands. From Manila, take a flight to Tagbilaran in Bohol, which is the home of the famous Chocolate Hills. The next day, take a ferry from Tagbilaran to Cebu. There are regular ferries that travel to and from both islands and it only takes about 2 hours. We suggest spending at least 3 days in Cebu before sailing to neighbouring cities Bacolod or Ilo-Ilo, where you can stay overnight (visit both if you have the time and budget). 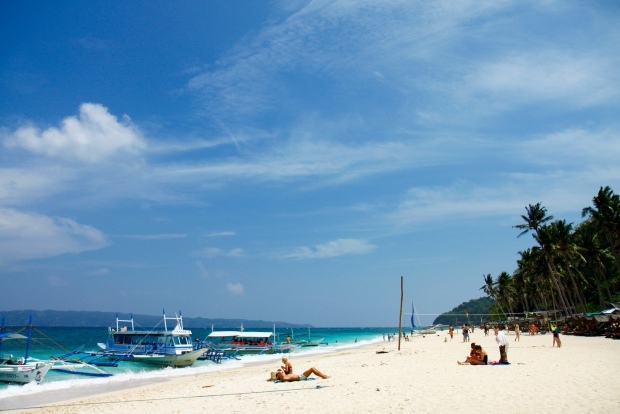 From Ilo-Ilo, you can take a 5-hour bus or van ride to Caticlan and, from there, the white sands of Boracay are only 15 minutes away by boat. 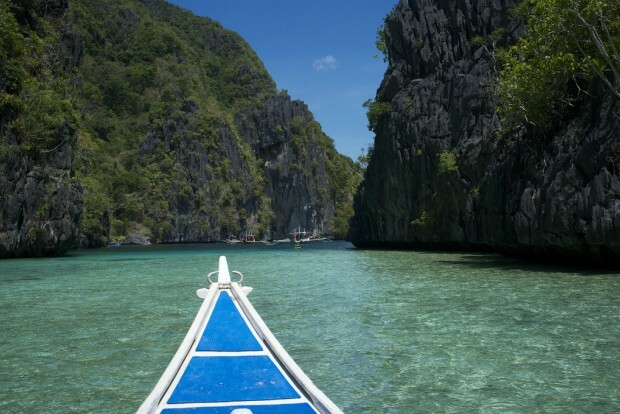 Are you thinking about island hopping the Philippines? Share your own tips and itineraries in the comments, and start searching for flights on Cheapflights.com.sg. A self-confessed breakfast-skipper, who likes to spend her time exploring new places and cultures. Previous ArticleQUIZ: How savvy are you at finding a cheap flight?